Easy baking recipes are for the beginner and experienced baker alike. It doesn’t have to be difficult to create delicious baked goods and you don’t have to spend a lot of money or time in the kitchen to do it. I’m sure you have noticed the prices of cakes, pies and cookies in your local supermarket have gone through the roof. Now you can make those same baked goods that will taste even better and cost far less than those in your supermarket by baking at home. We will take you step by step through the baking recipes and list those items commonly used in baking that you may want to keep on hand. Not sure what you will need in the way of equipment to bake? We list the most commonly used basic kitchen utensils that will make your baking even easier. Quick easy dessert recipes are now at your fingertips. All the recipes are listed in standard U.S. measurements. You won’t have to convert grams to ounces, liters to cups, etc., we’ve done it for you. If you are on the metric system we have also included a conversion page for you. All you need to succeed is to follow the simple instructions and prepare to amaze yourself, your family and friends. So let's get started. Anyone can make a cake with easy cake recipes. These easy and simple recipes do not require any special equipment or obscure ingredients. No baking experience is needed. 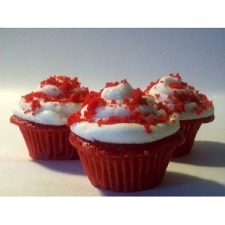 Learn how to make cupcakes with these easy cupcake recipes. Individual portions and easy clean up make cupcakes a favorite dessert for any occasion, especially birthdays and bake sales. Learn how to make frosting with easy step-by-step instructions. Sweet and creamy homemade frosting is easy to make and takes very little time. 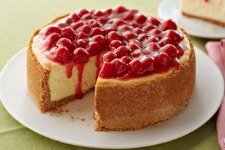 With easy cheesecake recipes online you can learn how to make cheesecake at home. We provide step by step instructions and even cheesecake tips. A collection of easy coffee cake recipes that you can have baking in your oven in 15 minutes or less. Learn how to make coffee cake with easy step-by-step directions. Anyone can make these easy brownies recipes. Learn how to make brownies with step-by-step instructions using simple ingredients. An oven full of sweetness is only a click away with these easy to make cookies. Learn how to make cookies with step-by-step instructions and tips to make your cookie baking easier. Cookie bar recipes are easy to make and the fastest way to fill the cookie jar. Simply stir up a batter, bake in one pan, then cool and cut into bars. With these easy pie recipes, you can make many different delectable pies at home with less effort than seems possible. If something is easy as pie, it is very easy indeed. Make excellent pies every time with these best pie crust recipes. Whether a traditional pastry pie crust or a super easy crumb crust, you will find a recipe to compliment any kind of pie filling. These easy bread recipes produce a range of sweet and savory breads that anyone can make. From classic moist banana bread to easy corn bread, you can have fresh baked bread for any meal or occasion. These box cake mix recipes are great for any time, especially in a pinch. 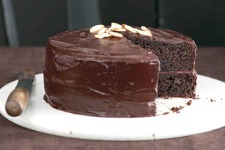 Recipes using cake mixes are also easy on your budget. Baking at home is easy when you have a well stocked pantry. Having these pantry basics on hand, you can make dozens of easy baking recipes without having to dash out to the store for ingredients. Basic kitchen equipment for baking is not complicated or expensive. All of these items can be purchased at your local department store, discount store and on-line. Baking substitutions will help you in a pinch if you find yourself short of an ingredient and need a quick solution. Find baking measurement conversions from U.S. to Metric for the most commonly used quantities. From oven temperature to baking pan size equivalents, you can convert any easy baking recipe. Would you like to share your knowledge about easy baking recipes? Great, find out how you can submit your story or tip here.